Sunrise along Staten Island Rd near Walnut Grove, it was a foggy morning but the wind had picked up slightly trying to clear things out a little. 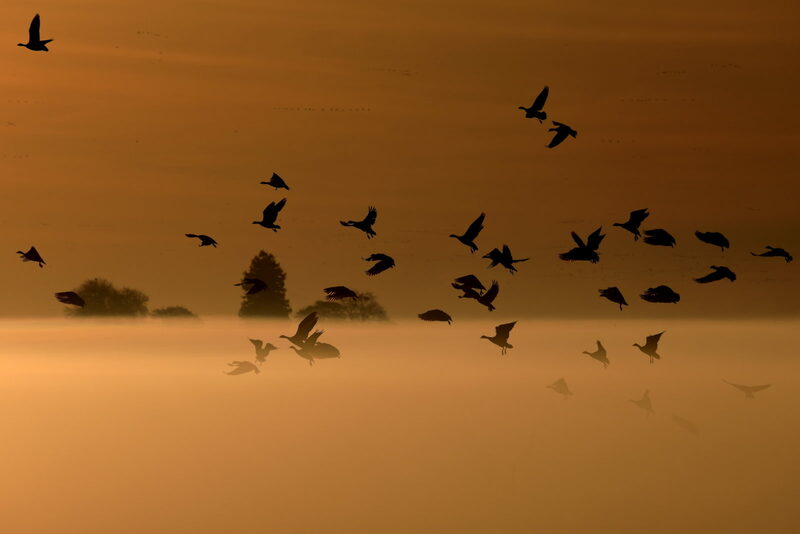 A number of geese were landing in the field but you could only see them disappearing into the fog. This image captures a number of geese landing and disappearing into the fog, you can just make out a few of them on the ground.